Link building is a rapidly changing profession. Best practices today may not be best practices just six months from now. This happens at an unusually high frequency, and it’s a consequence of Google’s ever-evolving stance on link building. Right now, a slew of SEOs are moving towards content marketing as a primary method of link building. I’m not going to tell you that content marketing doesn’t work. What you’re reading right now is an example of content marketing. What am going to say is content marketing should not be pursued primarily or solely as a link building tactic, because content marketing and link building are two different things completely. Although content marketing and link building go great together, the two practices can, and often are, implemented independently from each other. Link building doesn’t necessarily require content. It may be easier to build links with content, but it’s not essential. 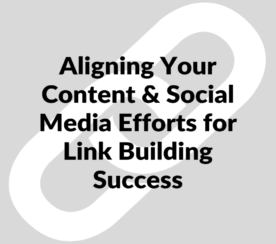 You can build links without content. Just like link building doesn’t require content, content marketing doesn’t require a link. If you get an inbound link with a piece of content you provide to another site, all the better; it’s an added perk. But the link isn’t what you’re seeking. A lot of the time, the content marketing assumes the form of content on your own domain, which eliminates one of the most trying tasks of link building, link prospecting. Content marketing is about disseminating a message. So yes, link building and content marketing are not at all synonymous, and content marketing should not be mistaken for link building 2.0. This doesn’t mean that link building and content marketing cannot work hand-in-hand. Not only can they work together, but they should. If you’re making an honest effort to improve online visibility, you should consider your resources and pick the marketing activity that will achieve the best results for your website. As it happens, content marketing and link building complement each other quite nicely. 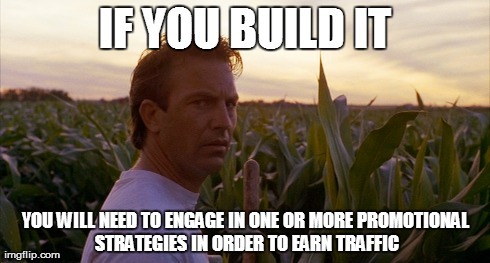 If you’re engaged in a content marketing campaign just as a method of building links, you’re doing it wrong. Content marketing shouldn’t go out of its way to build links that point back to your site. 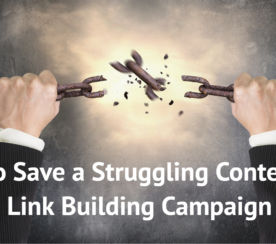 Content makes link building easier because content is something that a link builder can actually leverage. Let me rephrase: GOOD content is something a link builder can leverage. If you’re willingly spreading poor and irrelevant content just to get link equity, you’re part of the problem Matt Cutts railed about earlier this year. Webmasters thirst for good content, and webmasters want it because users want it. Of course, you don’t need to give away all of your best content. A sound content marketing strategy will reserve a portion of the best content for your own domain. Like I said, users like good content: you don’t want your site to be absent of it because you gave away your best work to somebody else. This kind of content makes link building easier because quality content on your site makes it far more linkable. 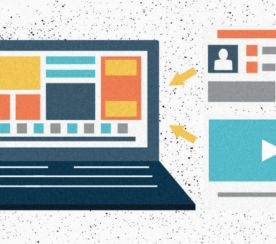 A site without content does not mean it’s a bad or unlinkable site. But content is a valuable linkable asset. Your content can be a source that another authority blog could cite, and that citation may very well be in the form of a link. The more valuable content you provide, the easier it is for links to be built. You can’t just throw something together in 30 minutes and expect a bevy of links to point your way. Bear in mind, quality content takes times and effort. Even though content often requires a hefty investment of personnel and resources, it’s worth it. The better your content is, the more likely a webmaster is to publish it. The more quality content you publish, the more links you can attract, and the easier they are to build and acquire. This is where link building comes in. If you have a great piece of content out there on the web, build links to it. Or at least try to, through active promotion to engaged audiences and relevant sites. Not only will you be generating referral traffic to your amazing content, but it will help to improve your content’s performance in search, thus further improving traffic. Don’t let anyone fool you into believing that link equity isn’t valuable. There are a few ways you can build links to your content, thus improving visibility in the SERPs. You can set up a Google Alert with, say, the name of the article, and track every mention of your content. If someone mentions the article online, but doesn’t have a hyperlink attached, outreach to that webmaster. If that person was kind of enough to mention your content without provocation, the chances are he or she will insert a link when asked. This is called fresh mention link building. If there are several key/notable influencers mentioned in your content, build an outreach list and email those people. If you’ve said something positive about them, they want to know about it. It could be beneficial for their marketing, and even if it isn’t necessarily, no one is immune to flattery. If it IS beneficial to their marketing, they are likely to link to your content. There are a few more ways you could build links to your valuable content; just know that it needs to be done. Content marketing can be an exhaustive process, but you make things more difficult for yourself if you expend all of that time and effort but no one actually sees your content. You have to be willing to invest more energy, but it will be worth it. I’m a link builder, and a CEO and part-owner of a link building agency. If you ask me what online marketing strategy is best, of course I’m going to say link building. But I would also tell you that one marketing strategy simply isn’t enough. If you really want traffic to your site, you should engage in any and all marketing tactics that make the most sense for your niche, and it’s easier to do that when two tactics fit together so conveniently.